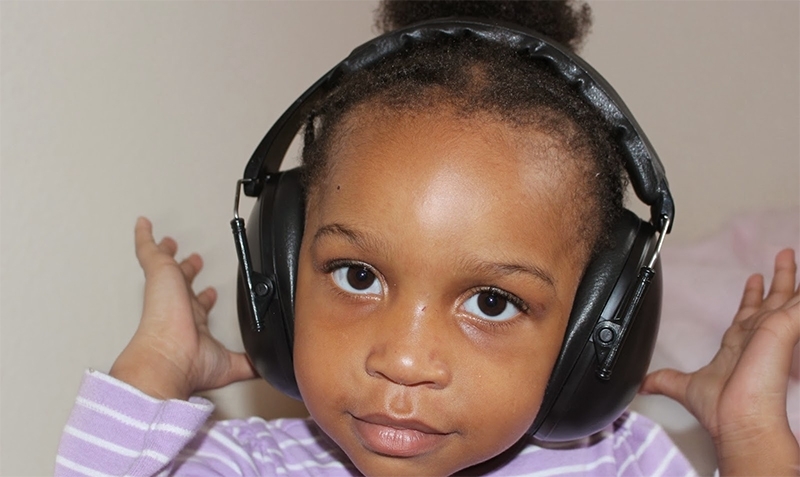 You are here: Home » Blog » How can I protect my own or my child’s hearing from loud noise? The key words are education and prevention! Dealing with noise and its effects on your hearing is a personal responsibility. The obvious first rule is to avoid loud noise whenever possible. A good rule of thumb is to remember that if you must shout to be heard, then you should avoid the situation. Wear hearing protection. Cotton in the ears will not work. Hearing protection, such as earmuffs or earplugs, can be purchased at pharmacies, hardware stores, or sports stores. Custom earmolds can be made to fit your ears by an audiologist. Do not listen to loud sounds for too long. If you don’t have hearing protection, move away from the loud sound. Give your ears a break from the sound. Lower the loudness of the sound. Keep personal listening devices set to no more than half volume. Don’t be afraid to ask others to turn down the sounds from speakers. Be a good consumer. Look for noise ratings on appliances, sporting equipment, power tools, and hair dryers. Purchase quieter products. This is especially important when purchasing toys for children. Be a local advocate. Some movie theaters, health clubs, dance clubs, bars, and amusement centres are very noisy. Speak to managers and those in charge about the loud noise and the potential damages to hearing. Ask to have the noise source lowered.